Beckett was 4 months old when we sat him in a high chair for the first time. He loved it. Alas that particular high chair was a total nightmare. You see, whatever age your baby, you can struggle to find a high chair that fits in with your life and your baby - not all high chairs are created equal! 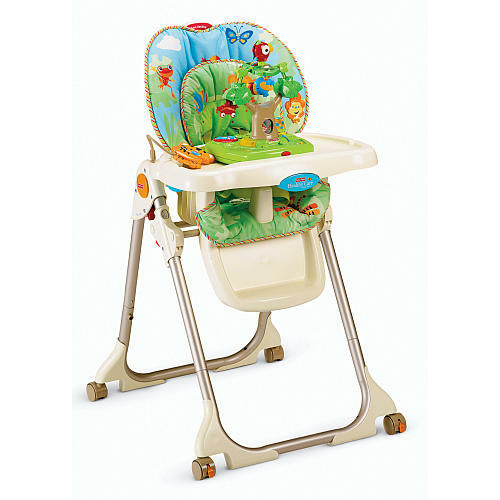 The first high chair that Beckett was in was the Graco Contempo. A solid and sturdy contraption that was ultimately over-engineered and simply bothersome in doing what should be a simple job. Afterall, a high chair is just a high chair. This chair followed the same approach and, unfortunately, failings as many high chairs I see. It tried to do too much as far as adjustment and comfort. Next up was the Fisher-Price High Chair. We didn't own this one but Beckett's Grandparents have it in their house and he uses it regularly. For all intents and purposes this chair is the exact same as the Graco one. It is painfully over-complicated and somehow even more cumbersome. It does not fold down particularly well and it leaves a multitude of places for little fingers to get caught. Similarly to the Graco again, there are two trays and more places for foodstuffs to get caught and hidden in. As you can tell, I am not a fan. Finally we have the winner. The high chair that we currently use, and recommend to everyone, is the IKEA ANTILOP High Chair. This is typical of an IKEA piece - simple, robust, inexpensive and it does exactly what you want it to do. There are no folding or moving parts. The tray is a simple clip fastening and the seat cushioning is via an inflatable, washable, three-side cushion. This high chair is light but unlikely to fall over no matter what way your baby rocks or sways. It's easy to clean and doesn't have any hidden places for food to go moldy. IT is the high chair that you want. Do you need the high chair to collapse / fold-away for storage purposes? How easy is the high chair to clean? / What sort of materials are used on the high chair, and can they easily be cleaned? 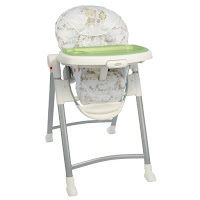 Does it adequately support your baby, and is there an ability to adjust it as your baby grows? Will your baby be comfortable in the high chair? 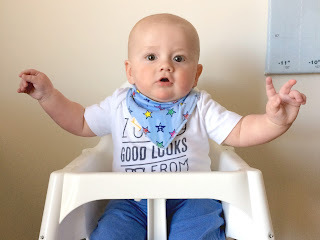 Is the high chair hard wearing, and will it last? These are, of course, by no means an exhaustive list of considerations - you may have specific things to consider for you and your baby. But they're certainly a good starting point. When shopping make sure to have baby with you and sit them in the high chair. Go online and search for reviews and feedback from other parents. Do some homework!